Summary: When “Opportunity Busing” comes to Charlie’s neighborhood school in 1970’s southern California, many of his friends’ parents opt for other schools. But Charlie’s parents, who have experienced some prejudice against their Jewish faith, choose to keep Charlie at Wonderland. Some 15 miles away, Armstrong’s parents decide to take advantage of the opportunity, and send their reluctant son to sixth grade at Wonderland. Told in the alternating voices of the two boys, the story shows the two-steps-forward-one-step-backwards progress of school segregation. Gradually, the two boys go from sworn enemies to a tentative truce to a close friendship. Charlie, still hurting from the death of his older brother the previous year, eventually shares his pain with Armstrong, who in turn gives Charlie a taste of what his life in the projects is like. By the end of sixth grade, they are almost like brothers, unsure if they will see each other again as separate junior high schools loom in their futures. 304 pages; grades 5-8. 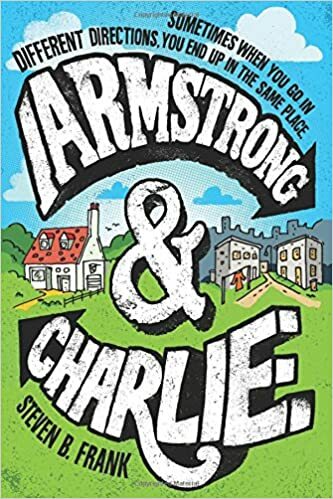 Pros: Both funny and poignant, Armstrong & Charlie grabs the reader immediately with two distinct voices switching off every page or two. With lots of 1970’s era details (how could I have forgotten about click-clacks? ), kids will get a taste of what school segregation was and how it affected ordinary kids of both races. Cons: While many fifth graders would enjoy this book, be aware that there is quite a bit of profanity, plus detailed discussions of French kissing and spying on naked women, before recommending it to them.